If you haven’t considered a steel door for your home, then you’d be missing out on the immense levels of protection that it can offer without sacrificing an inch of style. Here are some of the reasons why homeowners today are converting their doors to steel. 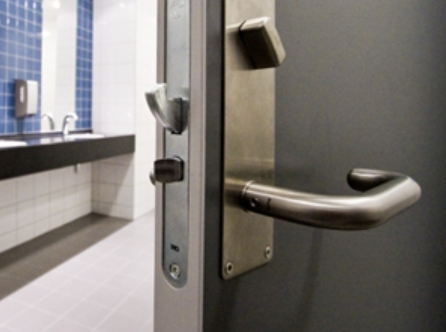 Steel doors are known to keep intruders out with their dense and solid base. Upon installation, your door should have a unique mechanical interlock and thermal barrier that keeps heat in and the cold out. Additionally, steel doors offer superior rigidity and remarkable structural strength so you can go to sleep knowing that your home’s front door is build like a fortress. Their durability and resiliency are only two of the reasons why homeowners are using steel doors for their homes. You can never be too safe when it comes to home security, and for the budgeted price that steel doors are set at, who wouldn’t want to beef up their security tenfold. While you may be skeptical about a steel door’s appearance, know that they offer extreme detail and offer elegance to a home’s frontal face. Don’t let the common image of a huge rectangular steel block of a door sway you from the multiple styles that are on the market. They tend to highlight the positive features of your home and their structure doesn’t clash with the stylish schemes that they are molded around. Be sure to take a look at the many styles that door manufacturers offer. These types of doors are becoming more popular in today’s homes, for all of these reasons. Be sure to check out your local store and pick one up today.